Your own experience is often the business coaching entrepreneurs ignore. Probably because you cannot put a price tag on it. We can maintain the most accurate schedules, but ultimately, we cannot predict the unforeseen problems that life will throw our way. Being a CEO puts me in a position to have other levels of management extinguish most fires. But major disasters require personal intervention. I actually enjoy a good challenge. Sure, money is a great motivator when it comes to resolution, but there is something about the fire in the belly, the drive propelled by business obstacles, that draws me to these events. So much of business is second nature to me now, a challenge is actually fun. When I look back on my career, I recall opportunities…some I created, and others I recognized and seized. Of course there were always challenges along the way. Unfortunately, a few years back there was a set of related catastrophes so overwhelming that it shook me to the core. Yes, they concerned me, puzzled me, gave me countless sleepless nights…but they never broke me. I was determined they would not shatter the dreams I was building into a rewarding reality. By rewarding, I mean much more than profitable. I have been able to do what I love, with people I appreciate, people that respect and share my vision. Money made, and continues to make, many things possible, but in the words of William Henry Channing I wanted “….to be worthy, not respectable; and wealthy, not rich; prosperous not superior…” All of the above cannot be attained without principle or compassion. I quickly realized that this particular chain of events would change my life forever. Now let me say, I rarely find myself in the middle of anything I haven’t anticipated. I make it a point to know what may be coming my way. This set of horrendous circumstances, however, really did arrive out of the blue. As I stated earlier in this piece, I love a good fiasco. Usually, I enjoy the amalgamation of creative thinking, logic and collaboration that results in a resolution that is satisfactory to all concerned. This disaster was very different. My opponent was the ADA of a bordering state. If you haven’t figured it out by now (especially if you noticed the countless election ads recently shoved down our throats via mail, telephone, TV and internet), having or seeking a formidable title does not guarantee integrity. In my opinion, the individuals whom I was forced to deal with conducted themselves under the pretext of practicing justified prosecutorial law to conceal the slander they fabricated to advance their own careers. Every attempt to seek a corroborated truth on my part resulted in another door being slammed in my face. Days turned into weeks; weeks into months and months into years. Occasionally there were glimpses of light, but hope was usually short-lived. Knowing the truth was on my side, while worrying about individuals and families depending on me, I could never and would never subscribe to the philosophy: “if you can’t save everyone at least save yourself.” So I continued to fight. Ultimately, we reached a conclusion: not anything that even resembled an honest settlement, just an ending to a 3-year nightmare. During the entire debacle, few of my business associates had an inkling of what I was experiencing. Neither did most of my family and friends. While, I was trapped in a labyrinth of lies, it was business as usual for everyone else… nothing to trouble anyone….except me. Many people helped my company and me in many ways. However, no one knew the depth of issues. Naturally, there is much more to this story. It is my goal to recount it in a full, accurate and substantiated book, which I will to publish in the future. My goal in sharing what I have discussed today is simply to advise you that calling yourself an entrepreneur requires more than innovative thinking and an adventurous spirit. Being an entrepreneur immediately transforms you into a guardian of sorts. You gave birth to an idea, which led to a business. Now you must be the sovereign protector of all who depend on you: from the loyal administrative assistant who has served you for years, to the brilliant young designer you hired last month. There may be times you’ll have to walk through hell to do it, but you must. Your company deserves it, your employers and shareholders deserve it and your good name deserves it. When I started my first company 33 years ago (yes, I was 18 years old) I thought being an entrepreneur was about getting financially rich. I started with nothing (actually $102) and turned that into millions of dollars and industry accolades. The “rich” I feel today is deeper than the money that comes–then goes–and comes back again. Determination, which is realized in obtained results, especially when overcoming great odds, provides a greater feeling of wealth then flying first class or driving a race car. What a higher high? Forgive those that “try” to hurt you. Success is good revenge, but forgiving them (yes, you ADA) is the best of all! Recently I was asked if I could rewrite my past, what would I do differently? My response? I cannot do that and do not know if I would. What I learned has made me a better entrepreneur and man. So not only do I forgive you, Mr. ADA, I thank you. You tested my entrepreneurial spirit and helped me realize true wealth is internal self-realization. 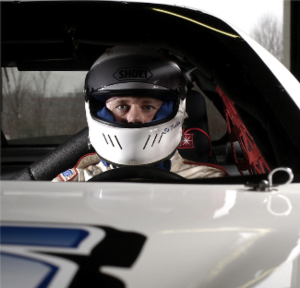 Oh, and yes, I will be back in first-class soon and back on the track in my race car. This time it will be fun on many levels. I love speaking and working directly with other entrepreneurs, helping businesses grow, and seeing dreams come to fruition. I’ve been asked what is the best advice you can give? And my reply is the absolute best business coaching entrepreneurs can find will come from within. Encounter challenges, embrace them, overcome them, and learn for true fulfillment. In 1984, with less than a $500 investment, Edward launched Impact Marketing. He quickly grew the small company into a thriving organization that was later publicly traded on NASDAQ and listed as one of the 500 Fastest Growing Companies for three consecutive years by INC. Magazine. Edward built his team to include more than 1,000 members and attained numerous entrepreneurial awards, including a feature in Success Magazine that recognized him as one of the Most Successful Entrepreneurs in the Country. Drive: I suppose I could call it motivation, but the word isn’t fast enough or strong enough. I’m a NASCAR enthusiast, so I suppose I have a predisposition to the term Drive. I’m not sure it can be taught. I’m more prone to believe it’s an inherent character trait. To possess Drive is not to be “Driven”. Driven implies passiveness. To me, Driven seems a temporary state. Anyone can be Driven by a particular obsession or toward a specific goal. But does that intensity linger once the objective is accomplished? Drive, on the other hand, is comprised of many components: perseverance, resilience, optimism, confidence and consideration. Yes, consideration. Drive doesn’t mean controlling. Nor does it suggest dismissiveness, ruthlessness or absolute power. It does, however, empower others, as does it encourage, engage and enlighten. To me, Drive is most essentially about the journey. Naturally, reaching one’s destination, whether personal or professional, is essential but the ability to successfully steer a powerful vehicle to navigate life’s most challenging courses is what ultimately gets one to that destination. Like all CEO’s, I face my share of challenges every day. Sometimes, I feel I encounter a challenge every minute of every day. Yet, when every fire is out…when everything is handled…I hear this voice inside my head like Jake LaMotta to Sugar Ray Robinson: “Hey, Ray, I never went down, man! You never got me down, Ray! You hear me, you never got me down.” Then comes that feeling of accomplishment…not to be confused with egomania. Rather, I think of those moments as pit stops…opportunities to refuel, recharge, regroup and get ready to get back on the course. Drive is nourished by adversity; strengthened by every impediment we overcome. Yet, Drive has its downside. Possessing Drive should NEVER make one feel invincible. Competent, confident, and resilient, yes…but never invincible. It’s also essential never to confuse Drive with knowledge. In my opinion, Drive includes forever seeking knowledge. Actually, I find it a common symptom of the condition. There is always something to be learned and very often from the least likely sources. Whether it’s knowledge about your industry, politics, human behavior…even yourself, Drive demands you learn more. So why my thoughts on Drive? Perhaps because I’ve come to the realization that Drive need not be indicative of a Type A personality. It can be quiet and unpretentious. My Drive has provided me with a better understanding of the human spirit. Again, I find it a symptom of the condition. Drive represents equal opportunity awareness. Know all there is to know about all there is to know. Drive symbolizes a life long journey of learning and the practice of applying what we’ve learned to every situation during every day of our lives. So the next time you or someone else uses the term Drive in describing someone, try to remember: It’s not just about success in business…it’s about driving through life and navigating a successful journey without losing your moral compass. Whether you’re in charge of everyone or you’re the lowest employee on the totem pole, everyone faces both skills that help them and traits that bring them down in their professional life. If you’re looking to start up your career and head into the world of entrepreneurial and financially focused business, some of those traits that merely hinder small parts of other people’s day can be a career stopper. While there are limitless ways your own mind can get in your way, there are three habits you can avoid in business that can make for a more successful career. It sounds too simple to be true, but it’s one of the biggest problems for everyone no matter what they are trying to do. Whether you’re in 8th grade and won’t ask a girl to dance because you don’t think she’ll ever like you, or you’re debating your worth to a company and being talked down in salary. While it may not help to be over-confident, and does help to work hard to keep up, it also doesn’t help anyone to have a severe lack in confidence. This can hurt entrepreneurs more than most people when it comes to business. An entry or junior level employee may under estimate their worth, but a CEO might be under estimating the worth of the company. It can also lead to not taking risks that could have highly benefited the company, such as plunging into social media or discussing a merger with a similar company, even if they feel it would be the best option. This lack of confidence can also translate over into how the employees are treated. If the boss has no confidence in the company, it’s not likely he or she believes the employees have high morale or trusts their new ideas are in the best interest of the company. By being confident, those in charge can feel more trust in their employees and lead to a much better work environment. We all dream of having the perfect house, or the perfect job. Many dream of having the perfect spouse and living in the perfect neighborhood with the perfect kid. However, the majority of people have accepted these things can’t be a reality. The pipes will need maintenance in your house and your spouse will sometimes get on your nerves, but you’ll make the best of it. Yet this same concept isn’t translated into business. If you can’t achieve perfection at home, it makes no logical sense to expect it in the office, yet it’s a constant goal for entrepreneurs. For the small business start up, the world isn’t going to end if your logo could be improved, and you won’t lose potential clients if your website has one typo. It would certainly make for great business if you somehow figured out how to be completely perfect, but in the end, this isn’t achievable. Some clients you work with might even dislike your services, and sometimes problems will arise. However, there does need to be a balance. Perfection can never be achieved, but preparedness and professionalism is a great goal. Rather than aiming to never make a mistake, you can aim to reach goals in the most accurate way possible, and set up safety nets in order to fix mistakes that may occur. It can be easy to get caught up in details, especially when money or customer satisfaction is involved. But customers and clients aren’t looking for perfection; they’re looking for reliability. Apple products consistently get bugs or break, but the company is always quick to fix it and send out a patch or help customers fix what broke. They can’t make the perfect laptop that will never break, but they can guarantee to help fix what goes wrong in a timely and pain-free fashion. Just how well do you deal with those tough decisions you are faced with says a lot about how well your business is going to do. Ask yourself: how do you deal with tough decisions? Do you procrastinate and put the decision making on the back burner? Do you ask another person to make your decisions for you? Do you ask your friends and family for advice? Before trying to find a better way of making decisions, you have to define how you already make them. Of course, this is true when it comes to facing any problem. If you’re the type of person who takes a long time to make that final call, what is it that convinces you in the end to go one way or another? It seems simplified, but it works. Ask yourself how you make that choice, then try to recreate it sooner and stand firm. There will be plenty of times where you made the wrong call, but that’s all part of business. Missing out on big opportunities or stunting the growth of your company due to the inability to make a decision will usually hurt you more than a small risk that didn’t pan out. Of course, there’s a limit to this advice. While it’s good to take the leap on a calculated risk, it does need to be calculated. So what do you do in the situations where your choices need some calculation, but you’re up against the wall? Some entrepreneurs like to go with their instincts. If you’re not comfortable being that risky in business, there are many consultants you always have at your disposal. There is plenty of research you can do on your own, but remember you hired people for a reason. If you’re concerned about the money involved and have a CFO, they should be the first person you talk to. If this is a question about whether or not to implement Twitter into your social media presence and you have a digital marketing team, you should see what they have to say. Since your employees have worked more in the specific areas, it can do well to hear how they project a risk to pan out for their department. If all else fails, consult a professional about your business plan and how this risk might fit into it. Some may charge you for the advice, but if you can’t decide what to do and find someone who has been successful in similar cases, it may be worth the money. Business consulting and coaching can be extremely beneficial in terms of changing enterprise operations, managing organization potential and improving productivity. The purpose of this article is to review the benefits of the process of business coaching and the issues surrounding performance and fees. Most people can guess “what business coaching is.” However there are perceptions of high fees and lack of performance guarantee. Usually, and I would say more than 95% of the time, all the risk is placed on the client or small business owner. At ORPICAL we are a firm that becomes profitability partners with our clients. Our only means of compensation is to insure clients improve bottom-line profits. We strongly believe that if a business coach works on a percentage of process improvement or even a perceived value, they can spend less time seeking clients and earn significantly more annual revenue. Any “stigma” can be eliminated by the fact that the business coach is now viewed as a partner. We have been called a part-time COO for clients because we focus on the entire enterprise to increase profits through increased and perhaps more importantly obtaining services and a greatly reduced price as compared to traditional costs. Of course great coaching is extremely beneficial with regards to changing organization procedures, managing company potential, and improving productivity. But when the coach has a vested interest more bottom-line positive results will happen. The service offered is based on performance based compensation called ORPICAL which is mentoring that enables small business owners to enhance their overall performance, their quality of life as well as heighten their productivity. The service commitment of ORPICAL COO is to encourage improvements in techniques, strategies and processes which result in increased sales and decreased expenses. Some sessions are conducted via a telephone and or video chat. This makes ORPICAL COO Business Coaching an exceptionally practical choice for executives that can’t seem to allocate a whole day or some of their time everyday for coaching sessions. Plus it avoids the time and expense associated with travel. To offer immediate, productive and cost-effective services for our clients, we also developed a system of outsourcing called Real Smart Source. The foundation of ORPICAL is a form of business enterprise theory that aims to generate far more benefit when utilizing the fewest resources. Lean management concentrates on enhancing procedures, so the concepts can be applied companywide. One sure way to hyper-increase net profits is to increase sales while reducing the cost per sale. Too many business owners spend their hard earned money with good intentions but pay far more than necessary for personnel, services and products. A key mission for Lean2 Profits is to help companies obtain more for less. We manage the hiring, project management and performance so our clients can focus on what they do best. We can have 1 to 100 qualified people working for you, managed by us, for far less than you can imagine. We develop with our clients to help increase sales while cutting operational costs. There are thousands of business service companies and consultants. Most are very qualified; so ask this question. Why do so few work on a “paid for results basis” or a percentage of net profits? We do because we know we can. Our confidence and experience added our client’s product or service offerings are a winning formula. Greater client output and lower costs yielding client profits is our mission. Send us an email to info@orpical.com, or give us a call at +856-242-1520.